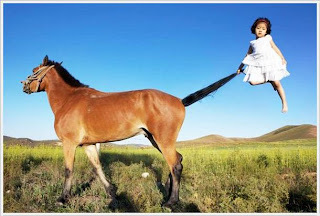 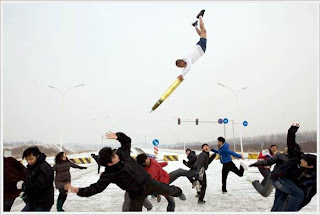 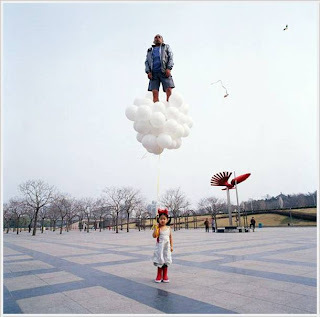 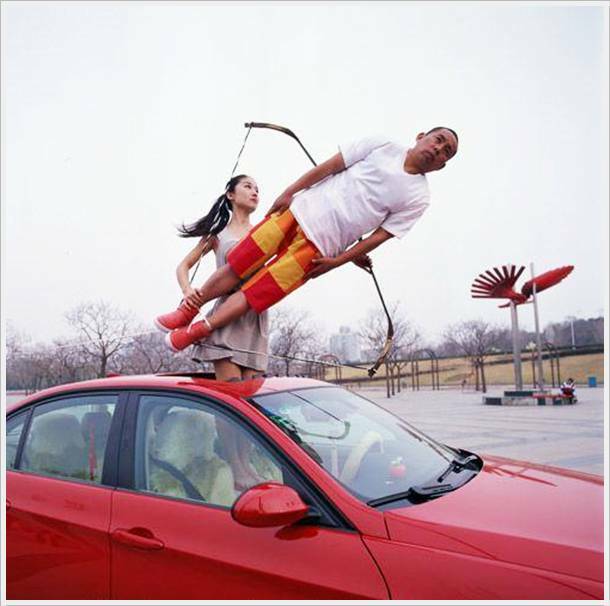 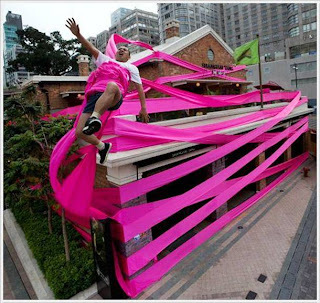 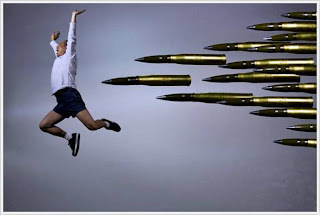 We offer a new estimate of the Chinese photographer Li Wei (Li Wei). 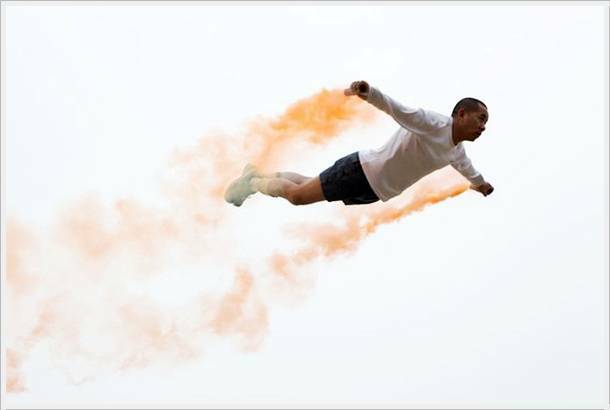 His photo is a mixture of performance art and photography, creating the illusion of flying and breaking the laws of physics. 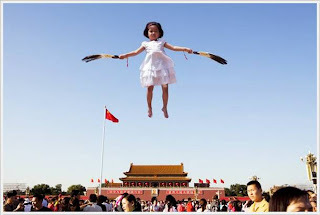 The author argues that all photos taken without editing. 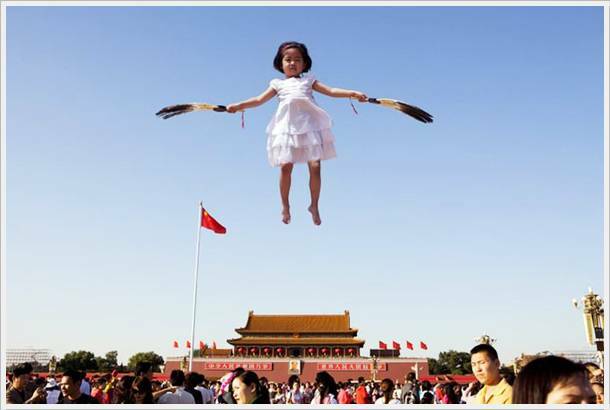 Only by a modest props: a mirror, metal wires, scaffolding and acrobatics. 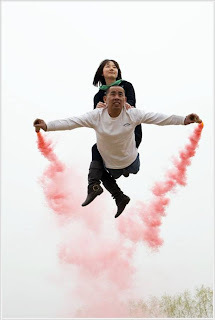 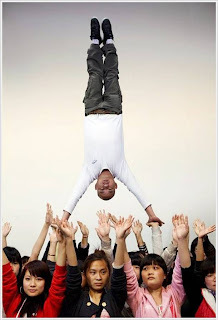 Li Wei was born in 1970 in China, the Hubei.